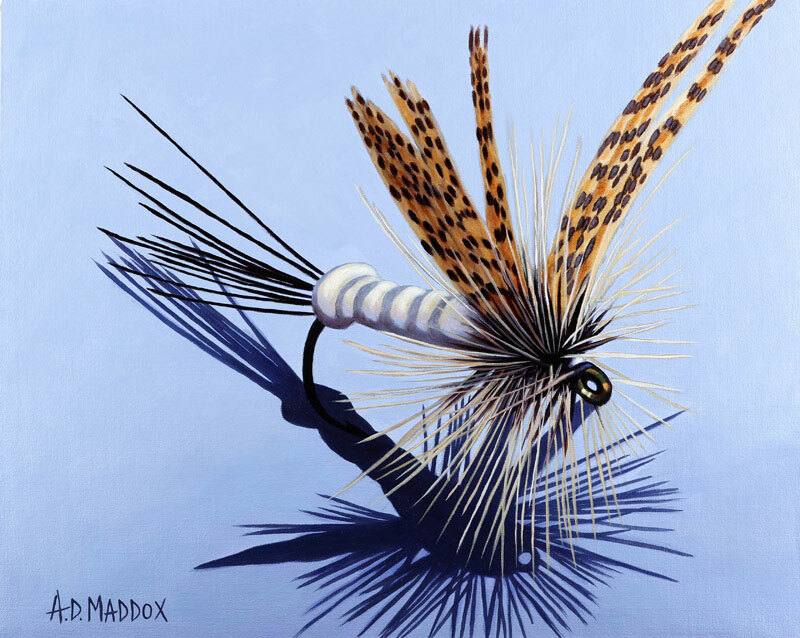 AD Maddox was born in Nashville, Tennessee. 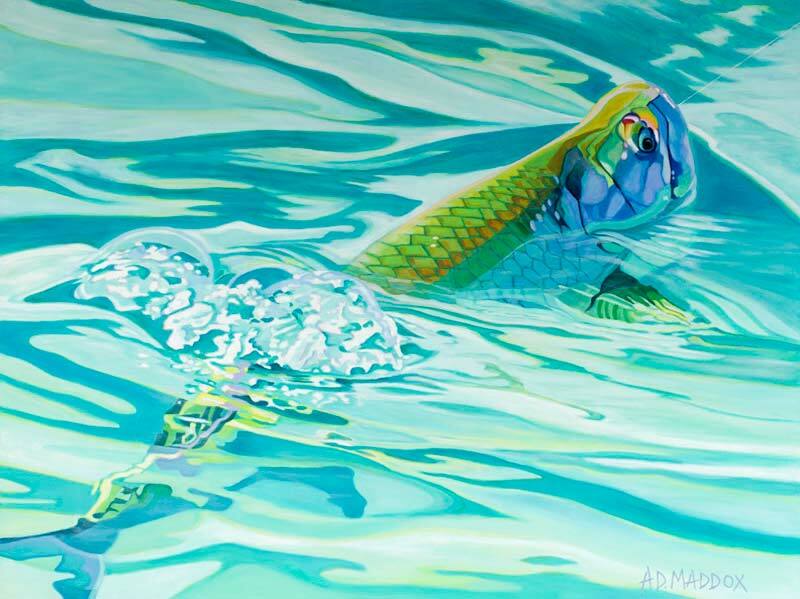 She was raised in an artistic environment and has been painting for as long as she can remember. 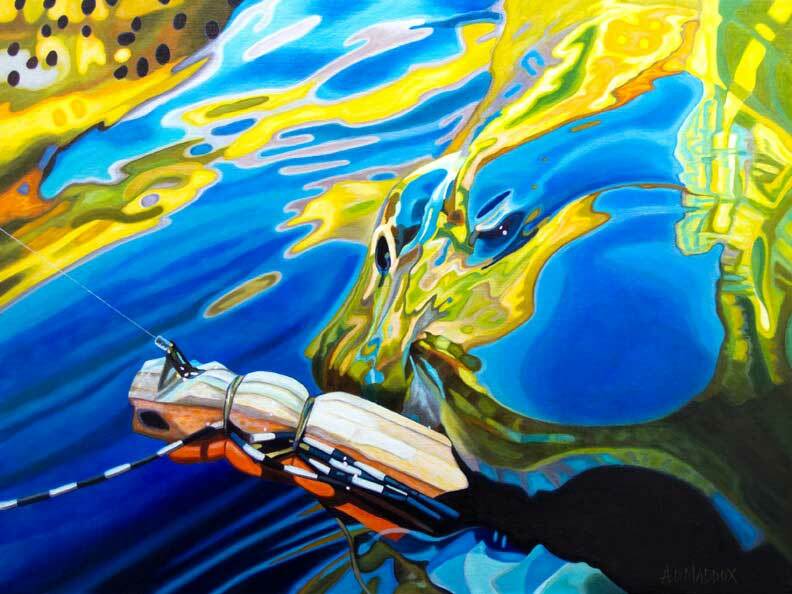 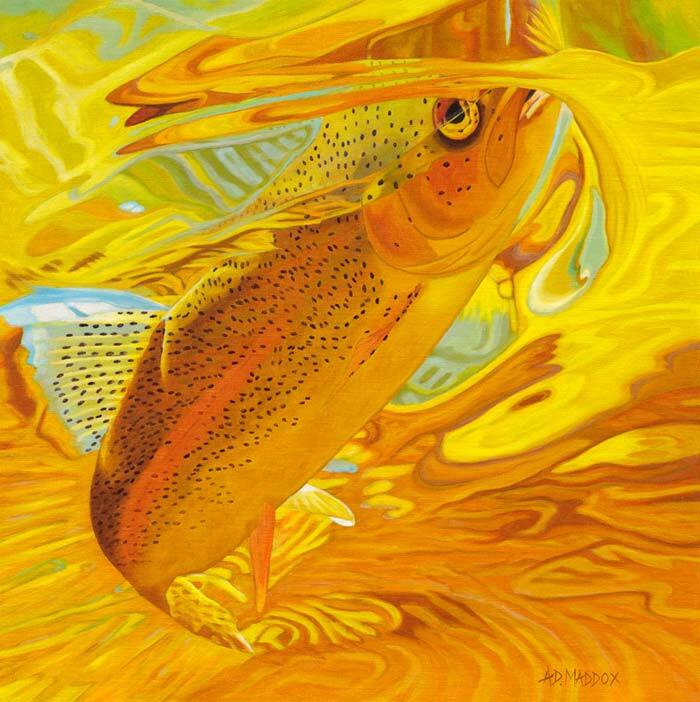 After traveling extensively in her 20s she settled in Jackson Hole, Wyoming where she began her professional career painting trout. 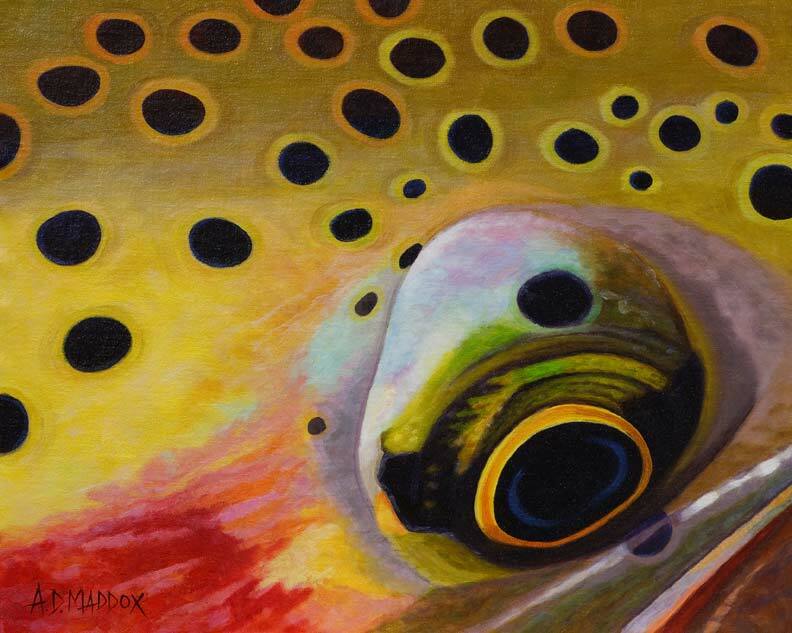 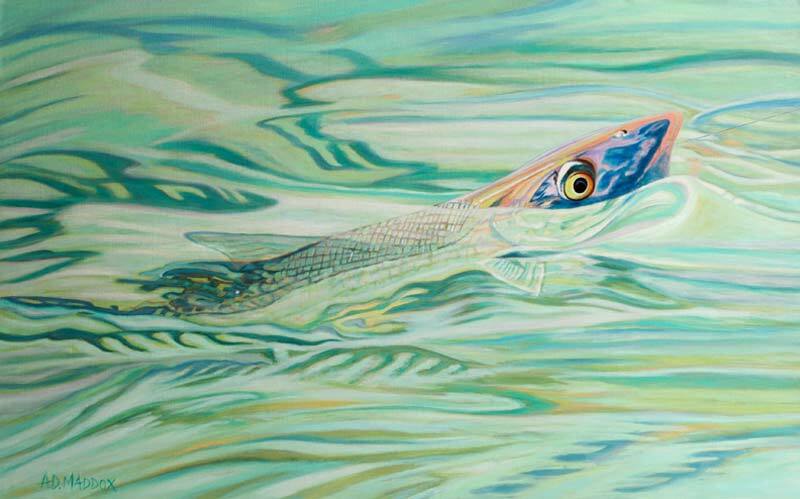 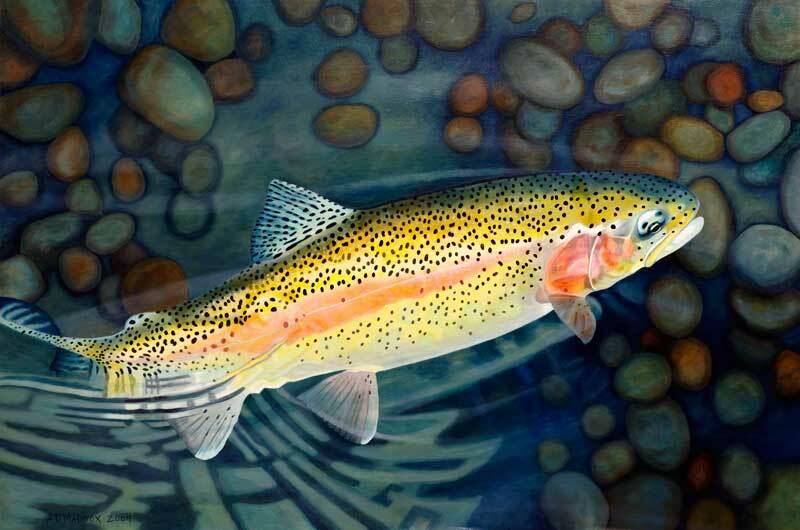 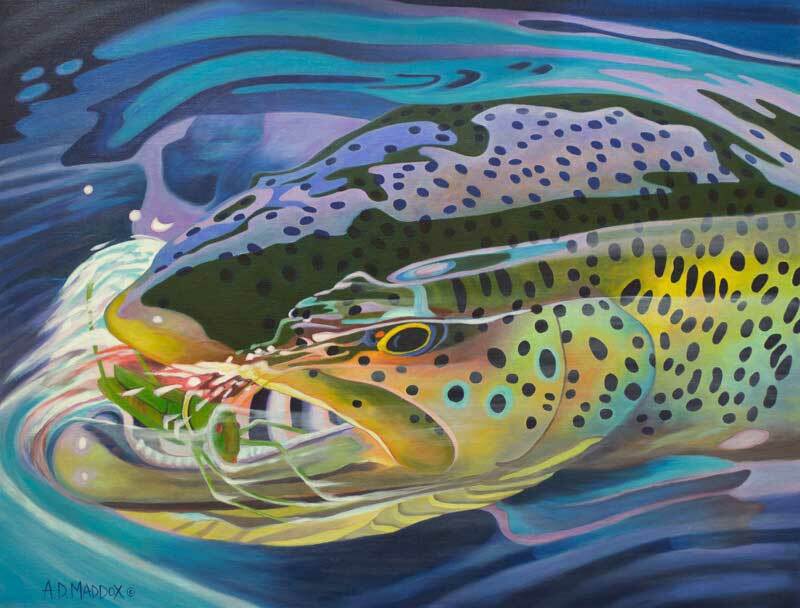 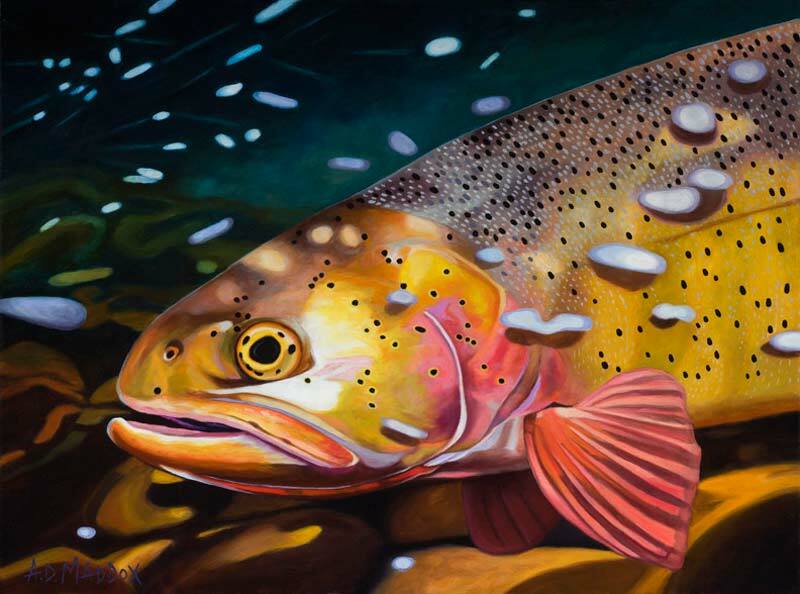 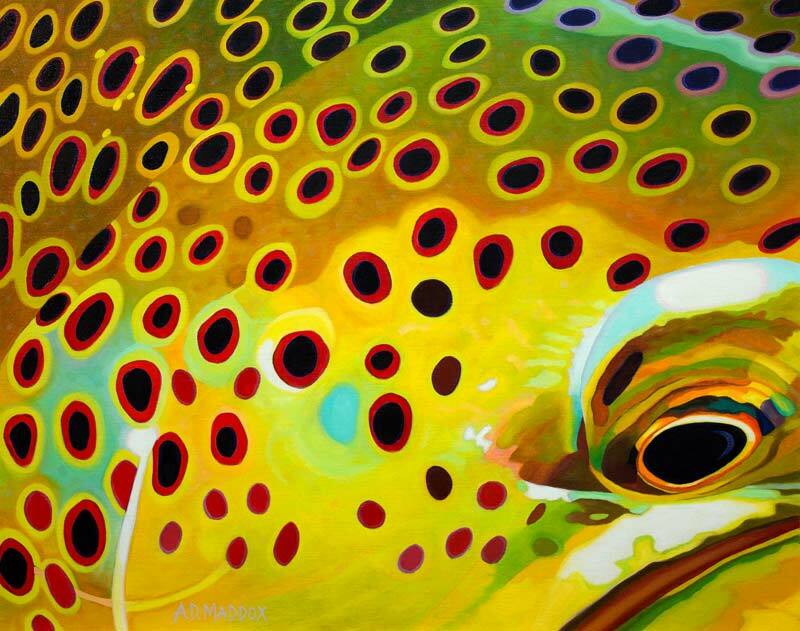 “Trout are chameleon-like, constantly changing color in and out of water – They represent an intriguing color palette and artistic challenge.” Maddox, self-taught, paints in oil mainly on Belgian linen and develops each piece with her signature layering technique. 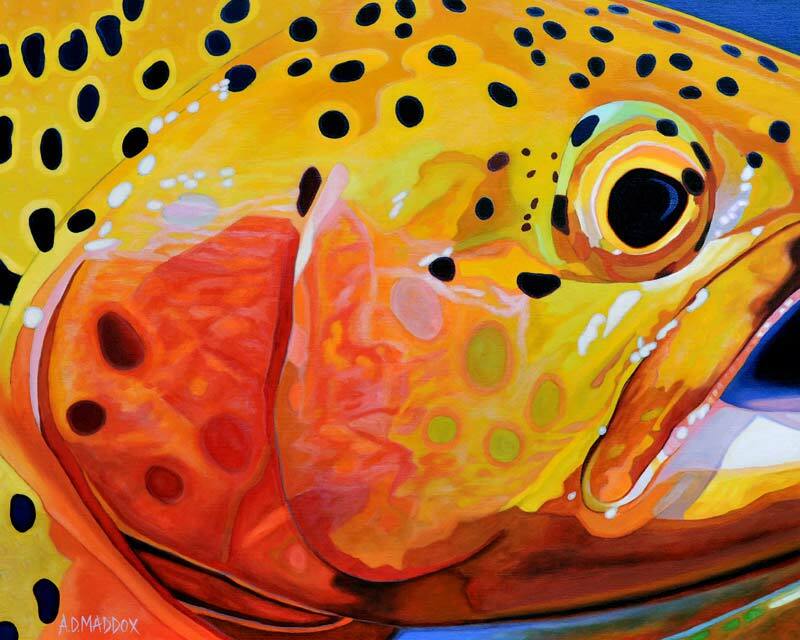 Fascinated by bright colors, Maddox is constantly challenged by each piece. 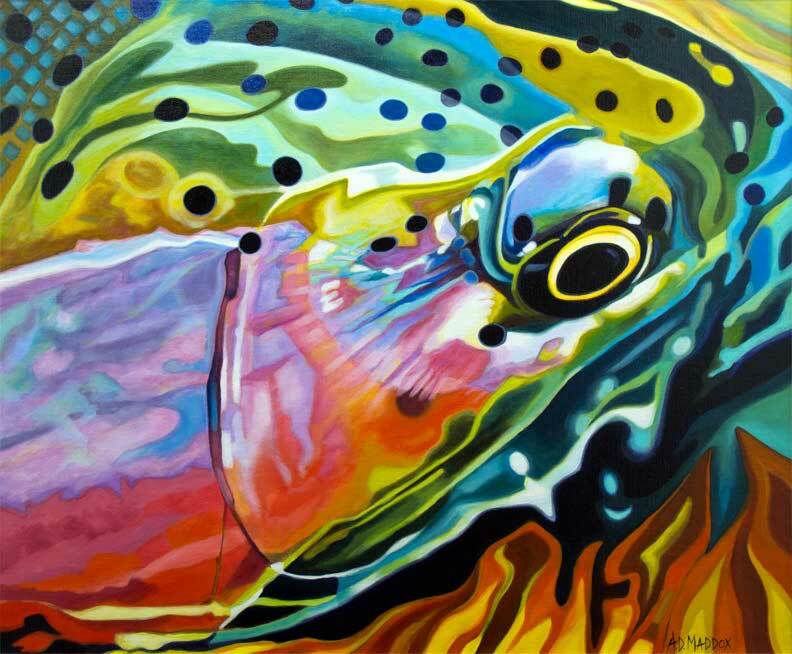 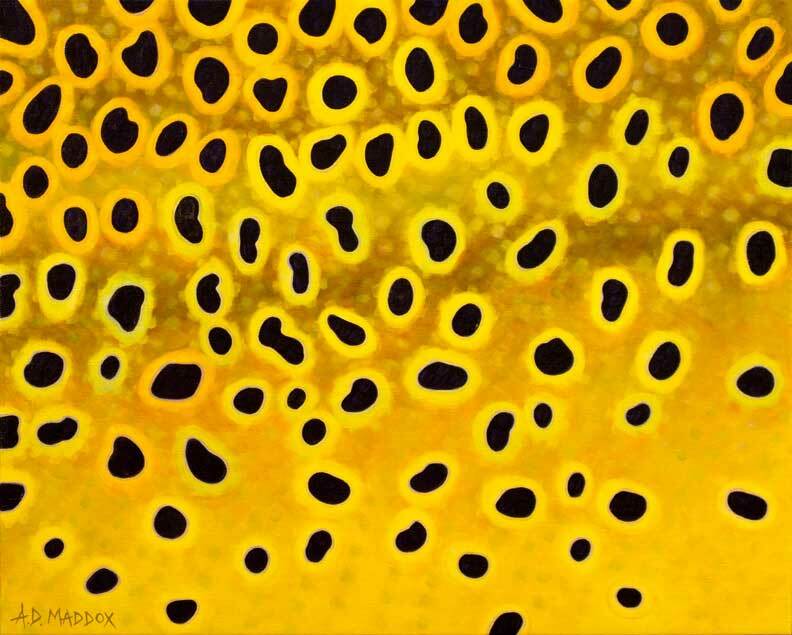 “Each painting has a crux where I have to tweak, harmonize and fine tune the colors for the image to pop. 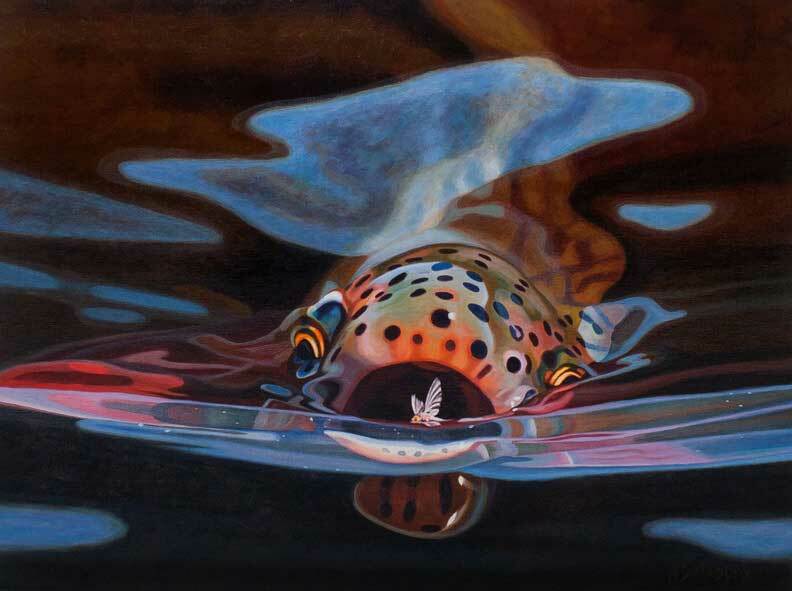 This is the never-ending bull-bait as an artist!” Her style is always changing as portrayed in her works through the years. 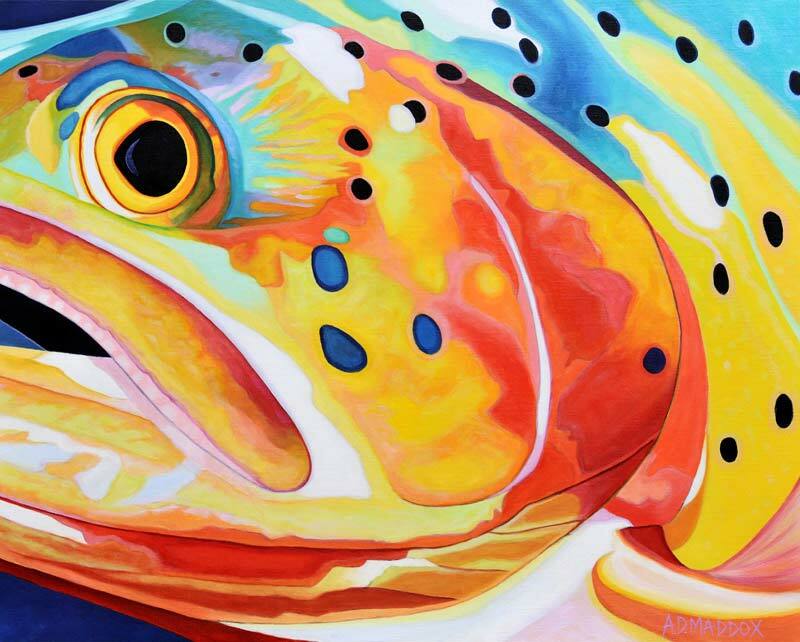 Maddox currently resides in Nashville where she balances her studio time with fly fishing trips and of course … Motorcycling!